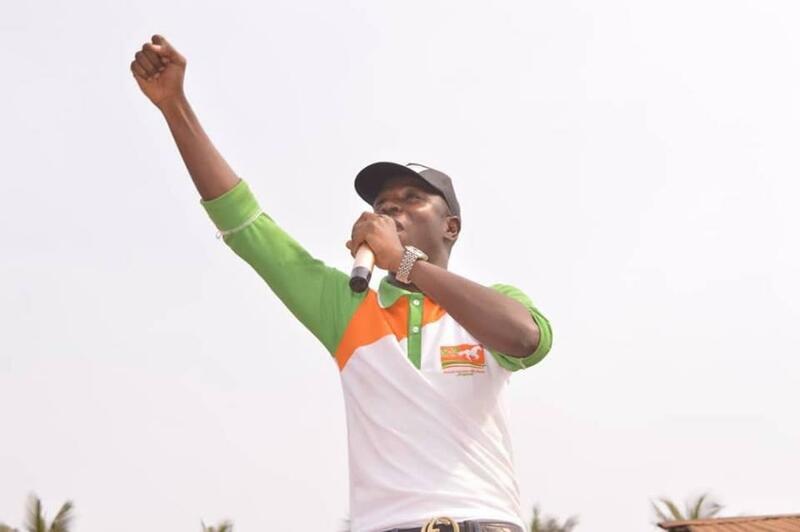 Tajudeen Adefisoye, the House of Representatives candidate for Ifedore/Idanre Federal Constituency in Ondo State, contesting on the platform of the Social Democratic Party (SDP), has denied his arrest after an attack on his convoy. Adefisoye said the claim that he was arrested by security agencies was sponsored by the members of the All Progressives Congress (APC). He disclosed this on Monday, while addressing journalists in Akure, the Ondo State capital. The SDP candidate specifically accused Honourable Bamidele Baderinwa, the incumbent APC House of Representatives member of being behind the attack on his campaign train in Ipogun town. SaharaReporters had reported that Adefisoye escaped death on Friday, when hoodlums unleashed terror on the campaign vehicles in his convoy. According to him, the thugs were believed to be working for the APC to frustrate his chances of winning the February 16 general election. He noted that his rising popularity among other contestants had become a “big threat”, noting that he is still optimistic of winning the election.